A holiday to South Devon and our Dawlish hotel with sea views is not complete without sampling some of the finest food and drink in the region. Many of the pubs, restaurants and cafés in the area serve up the best food and drink, and you might be able to take some home with you at farm shops, butchers and fishmongers. Across South Devon, many local producers are turning their goods into marvellous drinks and food products, just waiting for visitors and locals to snap them up. Read on to find out who the finest producers in and around Dawlish and those further afield. In Totnes, Sharpham Vineyard and Cheese Dairy is a 550-acre estate on the bank of the River Dart. The vineyard produces a range of English red and white wines, several of which have won awards nationally and internationally. Also on the estate is a herd of Jersey cows whose milk is used for homemade soft cheeses. Sharpham Vineyard offers tours around the vineyard which includes a chance to taste the wine and cheeses. A family business in Dawlish Warren, Forest Fungi specialises in the growing and supply of gourmet mushrooms. There is also a farm shop selling a range of fresh, local produce, showcasing the best of Devon’s top growers, chefs and artisans. In addition to their mushrooms, there is a butchers section, dairy and cheeses, fruit and veg, fresh bread, pies, hampers and much more. If you want to try the food right there, there is also an onsite café. Located in Dawlish near our hotel is Kay’s Gluten-Free Bakery, producing a delicious homemade and award-winning range of cakes, savoury tarts and pasties. There are gluten free options as well as dairy-free, making the items suitable for those with food intolerances and allergies such as coeliacs. All the cakes are made to Kay’s recipes, with everything baked to order and supplied to local outlets such as Darts Farm, River Cottage, Exe Valley Farm Shop and The Coffee Rush Café in Shaldon. Specialising in premium beef, lamb and pork, G.T. Orsman brings their expertise to ensure the highest quality and flavoursome meat is being sold. The butchers work with the best breeds and with high standards, you can rest assured the meat you are buying from them in their Shaldon location is the best South Devon has to offer. Launched in Bovey Tracey in 2014, Clare’s Preserves is an artisan producer of award-winning jams, jellies, marmalades, chutneys and relishes. All the products are handmade by Clare in small batches, using traditional methods. Quality and origin are important factors behind the business, from the ingredients to packaging. Clare knows the best ingredients and uses local producers whenever possible, such as honey from Dartmoor beekeepers, gin from Exmoor distillery Wicked Wolf and cider vinegar from Ostlers Cider Mill in Barnstaple. 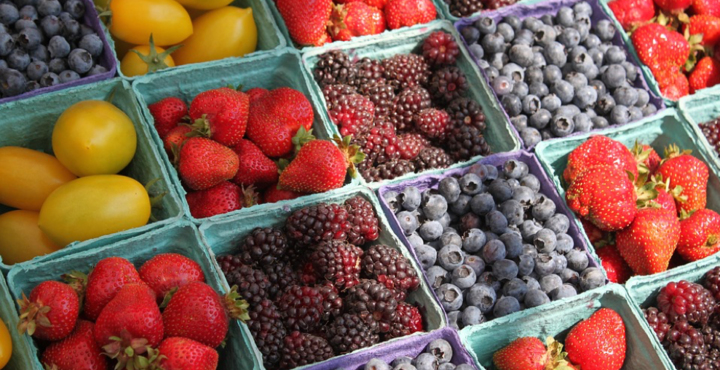 Seasonal produce comes from local growers, which are picked to order. Dartington Dairy, near Totnes, is a milk product manufacturing business, creating artisan goats milk products. Founders Jon and Lynne Perkin have a lot of experience in the farm to plate industry and share their passion with customers who want premium quality. The entire range of products from Goats Milk Ice Cream in several flavours, to Goats Milk, Goats Kefir and Goats Milk Yoghurt is done in small batches and artisan crafted. They help to promote other local growers and producers too, and their products are available to buy from the dairy shop. For visitors to South Devon looking for the freshest crab and lobster, head to Favis of Salcombe. They have been sustainably fishing in the finest waters and handpicking the best for the plate since 1972. Their expert knowledge of the local waters means they can provide customers with the best quality products. Several top restaurants in Devon use Favis crabs in their dishes, and they work hard to ensure the crab and lobster is as fresh as it can be, travelling 30 miles into the English Channel to haul their catch. Our restaurant at Langstone Cliff uses fresh ingredients and local produce from around the South West, so you can guarantee the dishes we serve are of the best quality. Be sure to take a look at the menus to see what delightful meals await you during your stay.